Of all the training courses and consultation services our company offers, Kaizen is the cause of the most questions. From “What is a Kaizen event?” to “Why are they so effective?”, it’s clear that there is a veil of mystery surrounding the method. This article will reveal the concepts behind the curtain once and for all by answering your most common Kaizen questions. It’s best to begin by breaking down the word itself: Kaizen is Japanese for improvement and is made up of two parts, Kai meaning change, and zen meaning good. 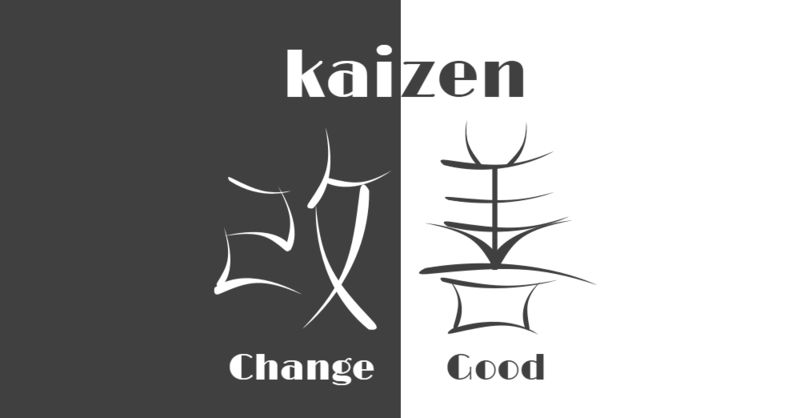 So, put simply, Kaizen activities create good change that will improve your business. It is an umbrella concept that covers all the best Japanese management practices and processes. The philosophy behind Kaizen is to create a company culture of ongoing improvement that is united and engaged. The effects of Kaizen should not be underestimated; this is the philosophy that saw pioneering Japanese companies rise from obscurity in the 1950s to reach the top of their game by the 1980s. Since then, Kaizen has been studied, adapted and applied with great success by companies and consultancies across the world. 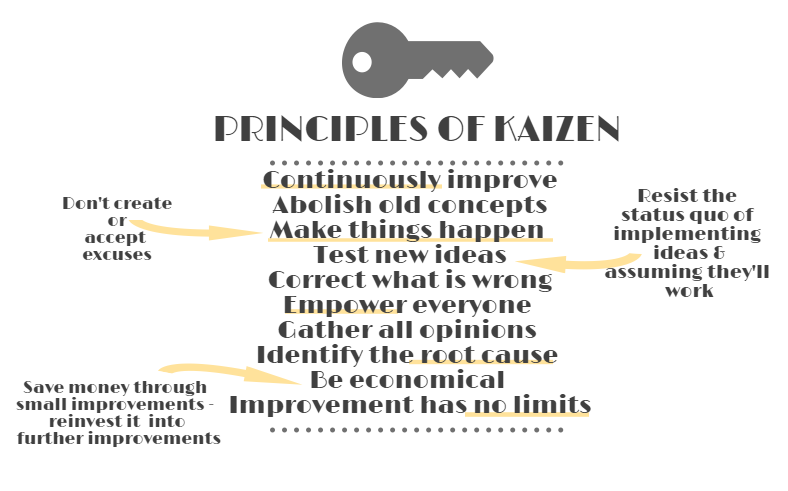 Throughout all these changes, ten key principles have remained at the core of all Kaizen events. Kaizen is about small groups of people making small improvements that will ultimately solve a big problem. Over time, this has become known as a Kaizen event. A Kaizen event is initiated with the identification of a problem. Essentially, all those associated with the process in question are collected together and dedicate their focus solely to solving the issue. This typically leads to the group secluding themselves to one room for several days until the solution is found. So, what happens in the room? The team study the problem by collecting data on the process and work to develop the best solution. They will then implement this solution,ensuring that it is acceptable and encourages buy-in, and finally the improvements they have made will be measured. Why are Kaizen events so effective? There are many reasons why the method is so effective. Its structured approach finds and eliminates the root of the problem, and its intensity sees this done quickly, saving both time and money. But at the heart of it’s effectiveness is the event’s focus on the people involved. Because those involved in the problem are the ones solving it, there is a greater understanding of the issue. This increases the chances of both generating the correct solution and encouraging the buy-in of the organisation. The team find the solution together, deliver the results together, and reap the rewards together. 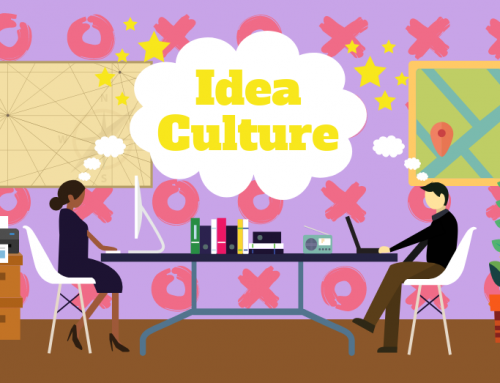 The success of the event and the collaborative approach creates the all-important company culture of ongoing improvement, with all the brilliant soft benefits resulting in a happy and satisfied customer. 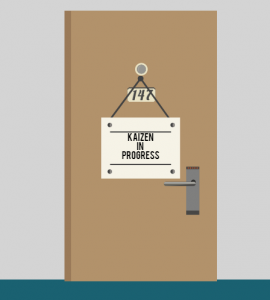 When would I need a Kaizen event? Whether it’s down to an unmotivated or indecisive team, a lack of leadership or insufficient resources, problems can take months to solve. By the time the solution is finally implemented, your team may be frustrated, resentful and divided. Or, even worse, the solution may never even be implemented meaning the process has simply cost you time, money, and even your reputation. 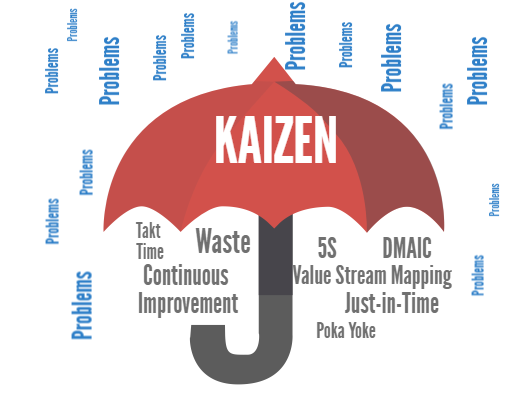 The structured, intense and collaborative nature of Kaizen overcomes all these issues. The problem will be solved quickly and the team will stand united, making it the perfect pick for all projects that need solving imminently. Over the years we have seen some amazing results from Kaizen events. When done correctly, this is a highly powerful way to solve a problem of any kind, in any business. All that is required is a clear understanding of Kaizen, including the ability to scope and size the event correctly. 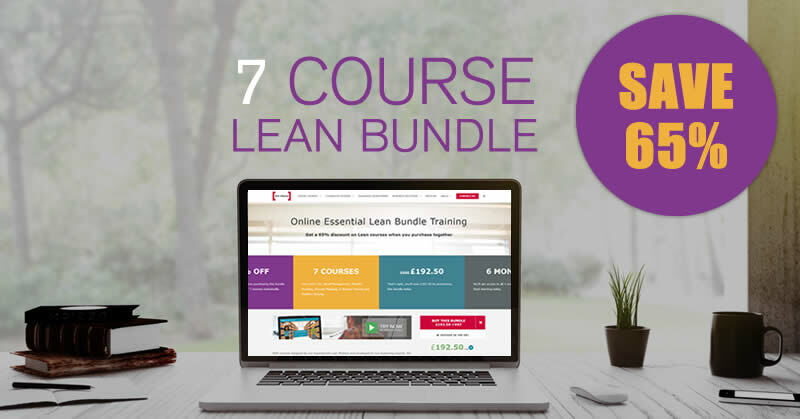 Once trained as a Kaizen facilitator, this will become second nature and allow you to initiate successful improvements, again and again. Click the button below to explore how you can become a Kaizen facilitator or get in touch on 0800 066 3749 to arrange a FREE 30 minute Kaizen consultation for your company.